St. Patrick is the design on these Irish golf balls. This Irish golf gift features the following verse printed on the balls, St. Patrick, Patron of Good Luck! These Irish golf balls with an image of St. Patrick driving away a snake might just improve your golf game with a little extra luck. 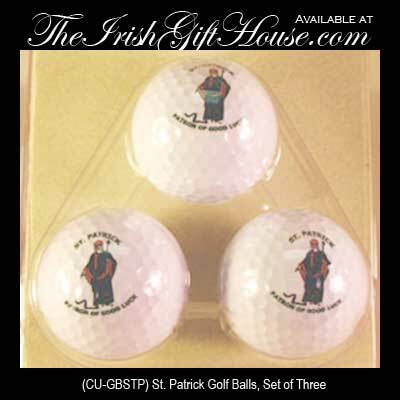 The Irish Gift House offers this Irish golf gift in a package of three balls.